In over fifty years of Australian television, only one name has been an almost constant presence during that time — Bert Newton. Coming from a radio background, best known as an announcer at 3XY, an eighteen-year-old Bert was auditioned by the Herald and Weekly Times newspaper group in 1956 as a prospective talent for its upcoming television station HSV7. He passed the audition but was asked to “wait” for his TV debut as the management at HSV7 claimed to already having two “stars” on its payroll, radio 3DB identities Eric Pearce and Dan “Danny” Webb, and said they could not afford the sum of £25 a week to employ a third. A disappointing blow as Bert had just refused an offer of £35 a week to stay at 3XY. Despite the delay, Bert’s TV debut eventually followed in August 1957 as a replacement for Noel Ferrier as host of HSV7’s night time variety show The Late Show. Hosting The Late Show would put Bert up against personal friend Graham Kennedy hosting In Melbourne Tonight — but at that point that was about where their TV similarities ended. While Bert was on £25 a week for a range of duties at HSV7 including presenting and general announcing as well as fronting The Late Show, Graham was bringing in £30 a week from GTV9 for IMT alone, setting an early precedent for Nine’s tradition of building “personalities” rather than just employees. Seeing how GTV9 was treating its on-air personnel was a frustration for Bert at HSV7, and knowing that GTV9 was keen to have him following a late-night meeting arranged by Kennedy and GTV executives, he tried on numerous occasions to resign but management continually refused to accept. In desperation, Bert then resigned publicly, on-camera at the end of an edition of The Late Show early in 1959, thanking his producer and colleagues and informing viewers that he would no longer be appearing on the program. HSV7 executives then told Bert his services were no longer required, and he was then invited to appear on a GTV9 telethon alongside Graham Kennedy. After the telethon appearance, in March 1959 came a hosting role on an edition of GTV9’s regular Saturday morning outside broadcast In Sorrento Today though GTV9’s ultimate plan for Bert was to host a new daytime show In Melbourne Today, which would hopefully complement Graham’s IMT. The new show didn’t debut as quickly as planned so as a result Bert was invited to join Graham in presenting live commercials on IMT – and almost instantly an invincible TV double-act was born. The partnership of Bert and Graham continued on-air for over a decade, and the friendship continued off-air for many years afterwards. But with the fame and admiration that came with appearing on television most nights of the week, there came a downside. In January 1964 Bert was admitted to hospital having suffered a nervous breakdown and was in treatment and out of the spotlight for months. It would be another nine months before Bert returned to television, albeit in only a ‘guest appearance’ on IMT on the night of the opening of ‘Studio 9’ – a new state-of-the-art studio built specifically for IMT. GTV9 would then only employ Bert in minor voiceover duties with the occasional appearance on programs such as IMT. The turning point came in 1966 when GTV was to telecast the Queen Of The Pacific special for the Nine Network and at the sponsor’s insistence — though against Nine’s wishes — Bert was appointed the show’s host. His performance on that night led to him hosting Nine’s next big event, the TV Week Logie Awards, from 1967. While Bert was often considered Graham’s ‘second banana’ on IMT, hosting the Logies was to become his domain. Bert’s ability to adlib and spark conversation with any of the award presenters and overseas guests, no matter how difficult they may have been, made him a natural for the role and he would go on to host the awards a record 19 times. 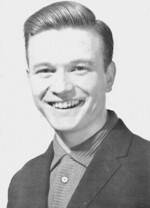 Following Graham’s ‘retirement’ from IMT at the end of 1969, four presenters were chosen to replace him — Ugly Dave Gray, Jimmy Hannan, Stuart Wagstaff, and on Wednesday nights, Bert Newton. Unfortunately, IMT 1970-style didn’t have the same success that it had enjoyed the previous decade and the program was phased out during the year. Bert finished up 1970 hosting a weekly half-hour program The Acid Test, which would put amateur actors into short plays and their performances assessed by a panel of judges. Bert’s TV profile took a fall after the demise of IMT and the ill-fated The Acid Test. In an interview with Melbourne’s Listener In-TV newspaper in July 1972, Bert lamented that apart from appearing in commercials for rental company Canberra Television he had only appeared in 25 hours of television in the year so far — a far cry from appearing almost nightly on IMT— and at that stage appeared unlikely to have any involvement in Graham Kennedy’s anticipated return to GTV9 in 1973. Though unhappy at that stage of his career, one thing did boost his spirits, a long-distance relationship with performer Patti McGrath. Patti was part of the regular cast of IMT but by the early 1970s was working overseas. Bert had often been reported to have romantic links with some of his earlier female colleagues, but his relationship with Patti seemed the most enduring and by 1972 there were hints of marriage. 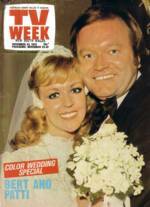 Bert and Patti ended up getting married in November 1974 in TV’s ‘wedding of the year’. Less than two months after the Listener In-TV interview, Bert had been announced as part of the lineup for The Graham Kennedy Show which began in September 1972. The pair maintained the same chemistry made famous during the IMT days but the program took a break in 1974, and returned early in 1975. Their professional partnership came to a rather abrupt end in 1975 after Graham’s suspect “crow call” which saw him banned from appearing on live television and the program wound up less than two months later. Bert did stay on at Nine to become part of another popular TV double, this time with American performer Don Lane whose Don Lane Show replaced Graham Kennedy in May 1975. While Bert was often the straight man to the comic Graham, with Don Lane he was the clown, with live studio stunts and costumed performances for the customary prize wheel segment, usually to affectionately mock visiting overseas guests such as Demis Roussos, the Osmonds, Gene Simmons of Kiss or The Two Ronnies. While Bert and Don formed their partnership on The Don Lane Show, they were also appearing together as panelists on the Sydney-based game show Celebrity Squares and also worked together in radio, on Melbourne station 3UZ, with Don doing the breakfast program, Bert presenting the morning program, and the pair presenting a half-hour in between. By 1976, with The Don Lane Show, the Logies and Celebrity Squares, Bert’s TV profile was clearly on the up again and it continued with GTV9’s announcement that he would take over from Frank Wilson as host of the weekly talent show New Faces. Once again, Bert’s adlib skills came to the fore and like his annual Logie Award hosting duties, it became a role to which he was indelibly linked. Bert would continue in his roles on The Don Lane Show, New Faces and the Logie Awards through the remainder of the 1970s and into the 1980s, but he also added an acting role during this time, making a guest appearance as a TV reporter on the 0-10 Network’s new situation comedy The Bluestone Boys. While Bert had been hosting the Logie Awards for over a decade, and had won a number of awards during that time, the prestigious Gold Logie had always eluded him despite being nominated almost a dozen times. He had seen his colleagues Graham Kennedy and Don Lane each collect the award, but it would be 1979 before Bert won his own Gold Logie for most popular personality on Australian television. He would go on to win another three Gold Logies, in 1981, 1982 and 1984. In the early 1980s, Bert continued his role as Nine’s special events host, presenting events such as the celebration of 25 years of television in 1981, the Logies in 1982 and 1984 and the opening of the Sydney Entertainment Centre in 1983. In mid-1981, husband-and-wife Bert and Patti were announced as hosts for Nine’s new quiz show Superquiz – a new take on the classic Pick-A-Box format. The weekly program won good ratings for Nine but was not renewed after its first season. After eight years, The Don Lane Show wrapped up at the end of 1983 and in February 1984, Bert was promoted to hosting his own ‘tonight’ show – for the first time since the early 1970s. 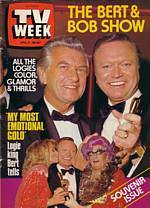 Tonight With Bert Newton had the unenviable task of running four nights a week in the later timeslot of 10pm whereas Nine’s variety shows had traditionally started at 9.30pm. The program was unable to fill the void left by Don Lane and was cancelled at the end of the year, to be replaced in 1985 by a new night-time version of former daytime show The Mike Walsh Show. Bert continued to host New Faces into 1985, but by mid-year the program had been axed and Bert’s services were no longer required by the Nine Network. Bert later recalled that the first he heard of his sacking from Nine after 26 years service was from a reporter from TV Week. Television variety was losing favour with audiences by the mid-1980s with only Midday With Ray Martin and Hey Hey It’s Saturday keeping the genre alive. As a result, Bert’s next career move was not into television but rather into radio but not specifically as a presenter — he was signed up as general manager of talkback station 3DB. Under Bert’s control, the ailing station was revamped with a new lineup with Bert taking on the breakfast shift, and an expensive advertising campaign. The revamp failed to give 3DB any significant ratings growth and when the station was sold to new owners in 1988 with plans to replace it with a new call-sign and format. Bert was one of the last voices to be heard on the station before it signed off. In 1988, Bert made a return appearance at the TV Week Logie Awards for the first time since hosting the 1984 presentation – but this time was appearing only as recipient for entering the TV Week Logie Awards‘ Hall Of Fame. Bert’s acceptance speech was a rather cutting observation of the industry as it stood then, lamenting that despite the award recognising his talent as a host and performer on television, it had been three years since he’d been allowed to appear on television. The speech seemed to have triggered some response in the industry, as later that year he’d been invited to appear as guest host for a week on Nine’s Midday and by the end of the year had been signed by the Seven Network, thirty years after publicly resigning from HSV7. His first role upon returning to Seven in 1989 was to host the TV Week Logie Awards which were being telecast on Seven for the first time, but more importantly was to host a new daytime variety show designed to drag viewers away from the popular Midday With Ray Martin. 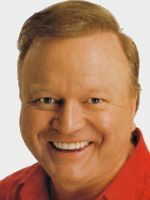 Seven’s The Bert Newton Show, coupled with a new soap opera The Power The Passion, failed to sway viewers from Nine’s popular daytime schedule and both programs were taken off the schedule by the end of the year. The early 1990s saw Bert make an attempt to get back into radio management with a scheme to “lease” radio station 3AK from its owners, and in doing so would install his own lineup intended to provide an entertainment and talkback format. The Australian Broadcasting Authority ruled that it would not approve the scheme and hence it was dropped. In 1991, Bert presented a segment on Nine’s 35 Years Of Television special. Also during the year, Network Ten was recovering from a disastrous period where it was in financial ruin and had started to revamp its program line-up. The network had announced by the end of 1991 that it had signed up presenters Derryn Hinch, Jacki MacDonald and Bert to front new shows from 1992 – with Bert hosting a new talk show The Morning Show, and also a revival of the New Faces program. New Faces did not have a long life at Ten, but The Morning Show would evolve into Good Morning Australia (GMA) in 1993 and would continue for fourteen years. GMA involved a heavy commitment, at one stage filling twelve and a half hours of television each week but becoming a high revenue earner for the network with its advertorial content filling the gaps between studio segments. 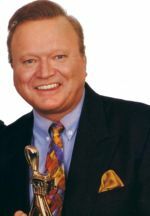 Bert hosted the Logie Awards telecast on Network Ten in 1993, appeared again in 1998 to receive the Hall Of Fame award on behalf of winner Graham Kennedy, and would be invited on a number of occasions to announce the winner of the Gold Logie, often receiving a standing ovation from the crowd when entering the stage. In 2006, Newton was one of a line-up of co-hosts as a celebration of 50 years of television, and in 2010 he hosted the Logies solo one more time. 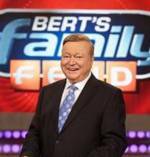 With the success of GMA, the Nine Network had made attempts to lure Bert “home” from Ten. Nine tried to sway negotiations by compiling a two-hour tribute of Bert’s long career at Nine which was aired in prime time, hosted by former colleague Don Lane, and would continue to invite him to make guest appearance at the Logie Awards. By 2005, GMA had suffered a decline in ratings, partially due to Nine launching a competing morning show with Kerri-Anne Kennerley. Despite Ten’s efforts to revamp GMA during the year, it was cancelled at the end of 2005 amid speculation that Bert was once again being pursued by Nine. Ten tried to negotiate a new arrangement with Bert but he had finally decided to go back to the Nine Network after twenty years, this time to host a rework of the game show Family Feud and to takeover hosting the nostalgic clip show 20 To 01. During 2006, Bert also received a Gold Logie nomination for the first time in over twenty years, followed up with another nomination in 2007. Bert’s Family Feud, scheduled in the important 5.30pm timeslot as lead-in to the news, struggled against Seven’s popular Deal Or No Deal – which had already fought off a number of game shows – and by May 2007 Nine had announced the program was to be ‘rested’ though had re-signed Bert to stay at the network to host 20 To 01, another retrospective program What A Year, and special events for the network.